Tom Hanks is not only one of the most sought after actors in the entire world but he’s also donned the title of “America’s Dad” because he constantly plays characters that are often times representations of Middle America. Despite his enormous fame, you might also notice that he seems to be a very pleasant and down to earth person, which is why you can catch him as the lovable Mr. Rogers in “A Beautiful Day in the Neighborhood,” later this year. But there is another side to Hanks that has come forward in the last couple of years that shows he likes to perpetuate liberal propaganda. 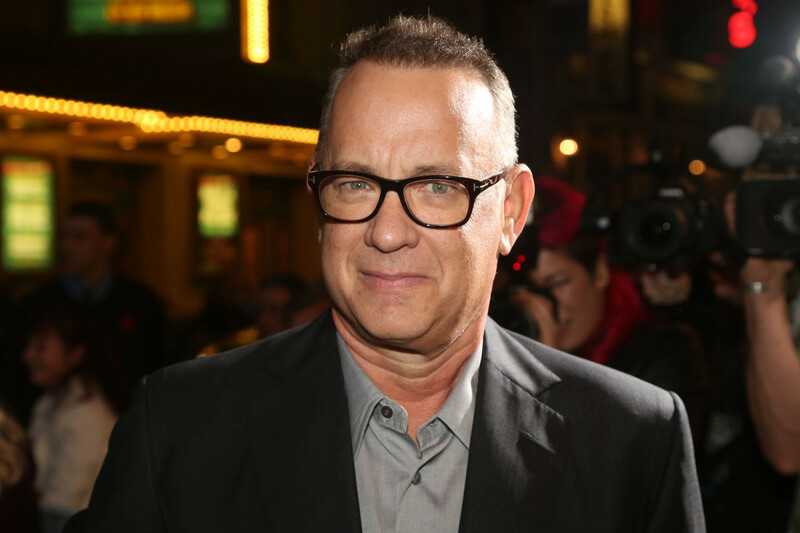 Tom Hanks has been at the top of the A-list since the late 80s when he was nominated for Best actor in the leading role in Big. He’s known as the “everyman” and partly why he’s had such great success throughout his career is because he doesn’t flaunt his political affiliation in everybody’s faces – or at least he didn’t used to. Ever since Donald Trump won the 2016 general election, the two-time Academy Award winner has been a tad more vocal about his opposition towards American conservatism. And nowhere was that more obvious than during the Super Bowl where he narrated a Washington Post commercial. You guessed right if you thought it would be a celebration of journalists. The sixty-second ad started with a shot of the invasion of Normandy, which makes complete sense that Hanks would narrate considering his iconic role as Capt. Miller in Saving Private Ryan. Another thing that they do in the commercial is reflecting on what we do when were threatened and how we can rely on journalists to keep us safe. This is utter nonsense and buffoonery, especially when The Washington Post sincerely believes that they’re the difference in America despite the countless fake news journalism that has come from their paper since Pres. Trump was elected. Then they showed pictures of fallen journalists like Marie Colvin and then they ended on Jamal Khashoggi – who was killed in Turkey late last year – as if that was the grand statement. And that grand statement cost them a grand total of $5.25 million to run that ad. When you consider that Tom Hanks just released a Steven Spielberg movie, The Post, where he played Ben Bradlee, the chief executive editor of the Washington Post, then none of that should be surprising at all. The Post was also littered with liberal propaganda because it was about the Pentagon Papers, which revealed that several administrations lied about the progress they were making during the Vietnam War. This ultimately lead to the downfall of the Nixon administration too – another story that the Washington Post broke about the break-in at the Democratic National Committee’s headquarters at the Watergate Hotel in Washington, DC was sanctioned by President Nixon. So it’s obviously no wonder that Tom Hanks accepted the narrator role. He also has condemned Trump – who constantly has to deal with fake news institutions like the Washington Post on a daily basis – once said prior to the 2016 Gen. election that it would be a “dark day” in America if Trump won. Just remember that the next time you see a Tom Hanks movie.